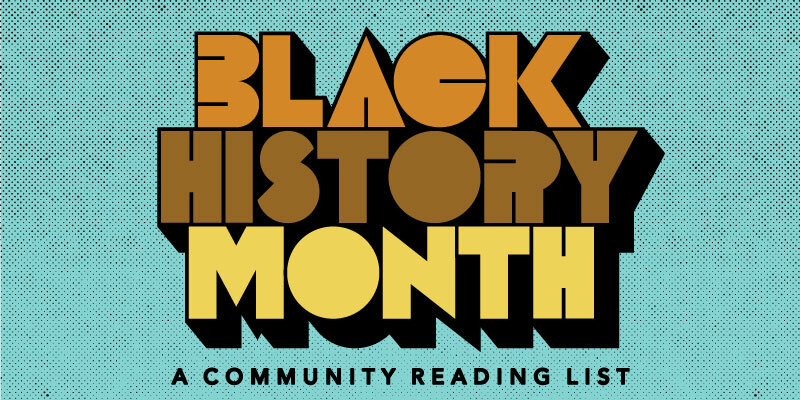 To honor Black History Month this year, we’ve collaborated with a fantastically broad and fascinating group of local individuals and organizations dedicated to supporting and celebrating the Black community and culture in Oregon to bring you a community-sourced reading list. The people we spoke with are passionate readers and advocates who believe, as we do, that books are one way to counter misinformation, create empathy, and turn otherness into familiarity. Far from being a passive activity, the books shared here and on our Black History Month homepage show that reading can be a call to action, a prompt for self-reflection, and an important act of recognition across communities. From classics you may have missed to cutting-edge social theory and the best new YA, we know the community recommendations below will have you reading widely and wisely well past February. Since its founding in 1983, the mission of the Black United Fund of Oregon has been "to assist in the social and economic development of Oregon's low-income communities and to contribute to a broader understanding of ethnic and culturally diverse groups." Formed in 2001 as an alliance of culturally-specific community-based organizations, the Coalition of Communities of Color is committed to addressing "the socioeconomic disparities, institutional racism, and inequity of services experienced by our families, children and communities; and to organize our communities for collective action resulting in social change to obtain self-determination, wellness, justice and prosperity." Currently, the coalition boasts representation from Oregon's African, African American, Asian, Latino, Native American, Pacific Islander, and Slavic communities. Executive Director Marcus Mundy wrote us, "I am an older soul, so my choices below will be from the classics, and harken back decades, but I believe all are still relevant today." As the father of three daughters who matured in largely dominant culture demographic worlds, and dealt with self-image issues in ways their young counterparts did not have to (and which were occasionally fomented by those young counterparts), this book is an absolute celebration and affirmation of their (and all little Black girls') absolute and undeniable beauty, uniqueness, and worth, through the lens of their definitely nappy hair. The Family Preservation Project "promotes individual and system level change to reduce the collateral consequences of parental incarceration on children, families, and communities." The programs FPP directs include a family resource center that works to minimize the barriers between children and incarcerated mothers through educational and support services; a monthly speakers series; an intensive family reunification program that helps guide mothers toward healthy parenting techniques; an amazing audio book program for the children of incarcerated mothers, in which moms read books to their kids; and caregiver support. FPP began as a partnership between Portland Community College and the Oregon Department of Corrections, and now operates under the auspices of the YWCA of Greater Portland. The Boys and Girls Clubs of Portland have been providing children, "especially those who need us most," with academic support, athletics and arts programs, leadership opportunities, college prep and employment training, and a safe place to play and discover since 1946. My absolute favorite kids' book is Sam and the Tigers by Julius Lester and Jerry Pinkney! It is such a fun story, with an incredible reading cadence, with real voice shining through. This retelling of Little Black Sambo strips away the racism of the original, and reclaims Sam as a hero for children today. Octavia Butler, Amiri Baraka, bell hooks, and Richard Wright! Black Male Achievement, a program of the Office of Equity and Human Rights for the City of Portland, is designed to help Portland city leaders improve the the "outcomes of Black men and boys in...education, employment, family stability, and criminal justice." The program's mission is to work as a collaborative to improve access to equitable employment and educational opportunities, and to ensure the health, safety, and success of Black men and boys in the Portland community. The library's BCLA teams collaborate on programming and outreach to better serve and engage with Multnomah County's Black community. With a focus on equity, inclusion, advocacy, and mutual workplace support, the BCLA teams are a central element of the Multnomah County Library system's goal to improve library access through community action research and local problem-solving. In addition to sharing their favorite authors for kids and adults, below, librarian and BCLA team member Alicia Tate put together a fantastic list of books for teens that can be found here. 3 Responses to "Portland Reads: Black History Month"
Thanks for the list of recommendations from some important Portland Black voices. It would be great to extend it beyond “the cannon” to include poetry. For starters, how about the unequalled June Jordan and Portland’s very own Samiya Bashir? Phyllis Wheatley? Add Jordan’s collected essays and highly lauded children’s books, like His Own Where, Kimako’s Story and Who Look At Me? Some are out of print but available used. It would be great to see some works by Charles Waddell Chestnut on these lists. I haven't checked the other prompts, but 8 didn't see any recommendations to read anything about or from Marcus Garvey or Booker T. Washington. Was the oversight accidental?